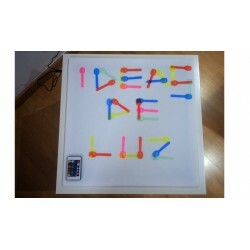 What is a light table for children and what is its origin? Surely you already know these surfaces and you wonder what I can do with them? Are they really good for children? 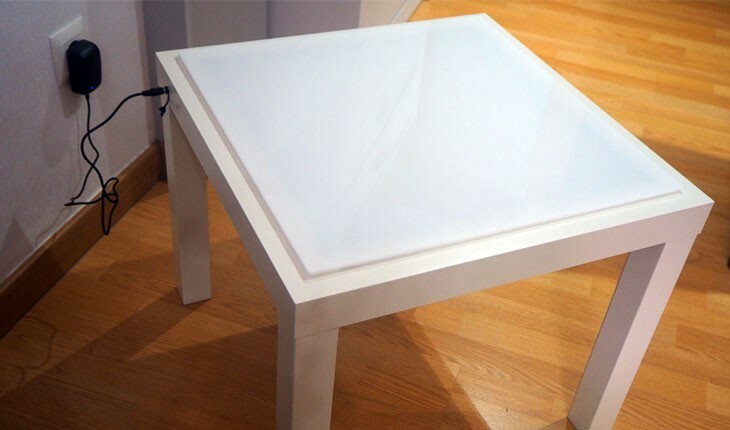 In simple words, the light table is a table that incorporates a translucent surface that is illuminated by pressing a button or through another ignition system. It is usually built on a table and rectangular in shape, but you can also find it with square or round designs. 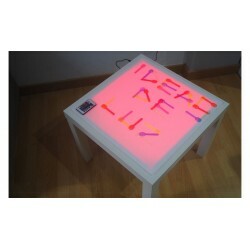 The children's light table is designed and organized with great beauty, where each space has a purpose and a reason. It is full of stimulations, thanks to materials that aim to draw children's attention, encouraging us to reflect and experiment with them, to draw their own conclusions. Before we talk a little more about this system, we must know how and why this tool arose, which is now widely used. In 1924 an Italian teacher and doctor named Maria Montessori worked with poor and disabled children helping them to develop independence in their learning with limited freedom. Similarly, in 1944 the Reggio Emilia method is created, based on the pedagogy that sees the child as the protagonist and with the ability to create his own learning driven by his curiosity, motivation and imagination.. It is thanks to these studies and philosophies that this functional tool is created that helps children in their training. This is why it is also known as Montessori light table and Reggio Emilia light table. My sister asked me for a light table for my niece and I liked this page because of the type of table they offer and their different materials. To say the least, it took me a day longer than expected. I had a few questions before I bought it and they solved them right away. Very good page. My son loved it! He always wants to play light table. Recommended. 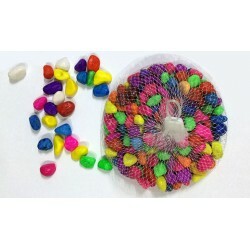 They encourage attention and concentration on activities, as the shine of translucent materials is highly eye-catching. Many activities can be done with very different themes such as reading and writing, science, mathematics, geometry, plastic arts, among others. It favors free play and imagination. Sensory stimulation, mainly the sense of sight. What are the Montessori and Reggio Emilia methods based on? The child is the protagonist. The teacher is a researcher or guide. A space forms a blank page for creative stimulation, communication and encounters. The family can participate and be part of the learning. 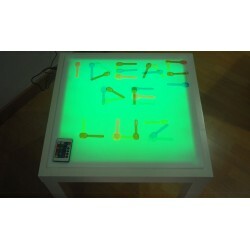 What activities can be done on the light table? 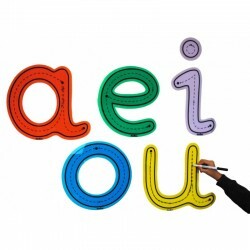 Practice reading and writing with semolina, earth, among others. Experiment on transparent trays with different materials such as rice, lentils, chickpeas. You can create different sensory trays. Make up stories by cutting out rubber silhouettes. You can make patterns that the child should follow with stones. Sensory play. Drawing with glass markers on the light table. Hermetic bags to freeze with paint. 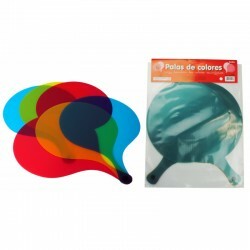 To play with papers of transparent colors, and to superimpose them to see which colors are formed. Resource to support a story. 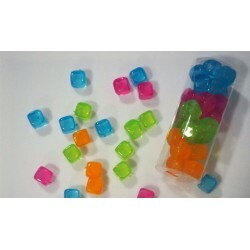 Experiment with colored ice cubes. Where to place the light table? This will firstly depend on the space available and the model of table you have, can be square, rectangular, round, among others. If you have already identified the room where you want to place and the dimensions of the table we have or want to acquire, the main thing is to bear in mind that it is a learning tool for children and that you have to take the necessary precautions to avoid accidents. It must be located in a place with space for the child to have freedom of movement and to get their play materials. In terms of safety, it is important to note that the power cord must be kept away from the child. Do not let the child use the light table without supervision of a teacher or adult, as this supervision is what should verify the proper functioning. Of course, as he gets older, you can give him more freedom. Place the table in a corner to prevent the child from having access to the power cord. Periodically check the light of the table, taking care that it works properly: not this loose, has too much brightness or light more on one side than the other. Do not use in a completely dark room, as this can cause damage to your eyesight. It is recommended that it be a dim environment. 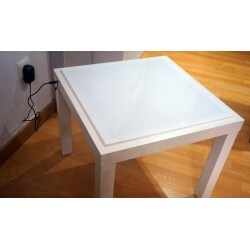 Where to buy Montessori light table? Surely you were enchanted with this methodology looking for where to buy a cheap light table. 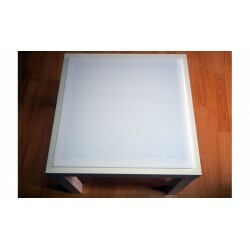 In our online shop we have available several formats of light tables at an affordable price. It's simple, enter our gallery and get the one you want.